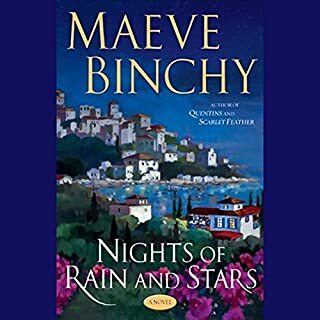 New York Times best-selling author Maeve Binchy has a way of making everyday experiences extraordinary. 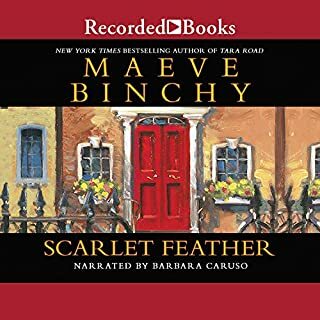 Scarlet Feather introduces budding entrepreneurs Cathy and Tom who, along with their extended families, meet the trials and rewards of life head on. Scarlet Feather is a new catering company formed by two friends from cooking school, Cathy Scarlet and Tom Feather. Their dream is to have the best business in Dublin. When Noel learns that his terminally ill former flame is pregnant with his child, he agrees to take guardianship of the baby girl once she's born. But as a single father battling demons of his own, Noel can't do it alone. 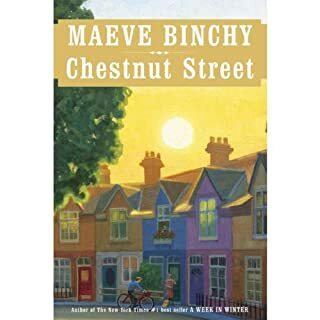 Maeve Binchy imagined a street in Dublin with many characters coming and going, and every once in a while she would write about one of these people. She would then put it in a drawer; “for the future,” she would say. The future is now. 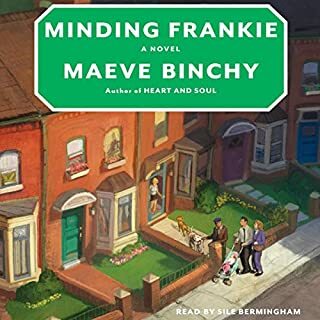 Across town from St. Jarlath’s Crescent, featured in Minding Frankie, is Chestnut Street, where neighbors come and go. Behind their closed doors we encounter very different people with different life circumstances, occupations, and sensibilities. When a new highway threatens to bypass the town of Rossmore and cut through Whitethorn Woods, everyone has a passionate opinion about whether the town will benefit or suffer. But young Father Flynn is most concerned with the fate of St. Ann's Well, which is set at the edge of the woods and slated for destruction. People have been coming to St. Ann's for generations to share their dreams and fears, and speak their prayers. The Mountainview School in working-class Dublin boasts a brightly festooned room brimming with paper flowers and Renaissance posters. There, in an evening class, "An Introduction to Italian," come Aiden Dunne, the supervisor, Signora, the professoressa, and 30 or so students, whose hopes and dreams are bound up in the Tuesday and Thursday lessons. World War II had begun, and London was being bombed. Most parents were sending their children to live with relatives in the countryside for safety's sake. But shy, delicate Elizabeth didn't have anyone nearby. Instead, she would have to go far away, to Ireland, to stay with an old classmate of her mother's - whom Elizabeth hadn't even met. Accustomed to a life of unspoken rules and quiet discipline, Elizabeth wasn't prepared for the large, boisterous O'Connor family. It began with Benny Hogan and Eve Malone, 2 inseparable young Irish women, growing up in the village of Knockglen. Benny, an only child, yearning to break free from her adoring parents and Eve, an orphan, abandoned to be raised by nuns, seemed an unlikely pair. Together, Eve and Benny knew the sins and secrets behind every villager's lace curtains...except their own. The pair becomes a circle when Benny and Eve leave for university in Dublin, and meet beautiful Nan Mahon and Jack Foley, a doctor's handsome son. But heartbreak and betrayal would bring the worlds of Knockglen and Dublin into explosive collision. Long-hidden lies would emerge to test the meaning of love and the strength of ties held within the fragile gold bands of a...Circle Of Friends. A Few of the Girls is a glorious collection of the very best of her short story writing, stories that were written over the decades - some published in magazines, others for friends as gifts, many for charity benefits. The stories are all filled with the signature warmth and humor that have always been an essential part of Maeve's appeal. Lough Glass is at the heart and soul of the namesake town clinging to its shore. They say that if you go out on St. Agnes' Eve and look into the lake at sunset you can see your future. But beneath its serene surface, the lake harbors secrets as dark and unfathomable as the beautiful woman who walks beside its waters. In the Irish town of Schancarrig, the young people carve their initials - and those of their loves - into the copper beech tree in front of the schoolhouse. But not even Father Gunn, the parish priest, who knows most of what goes on behind Shancarrig's closed doors, or Dr. Jims, the village doctor, who knows all the rest, realizes that not everything in the placid village is what it seems. From the royal wedding to boring airplane companions, Samuel Beckett to Margaret Thatcher, "senior moments" to life as a waitress, Maeve's Times gives us wonderful insight into a changing Ireland as it celebrates the work of one of our best-loved writers in all its diversity - revealing her characteristic directness, laugh-out-loud humor, and unswerving gaze into the true heart of a matter. Ria lived on Tara Road in Dublin with her dashing husband, Danny, and their two children. She fully believed she was happily married, right up until the day Danny told her he was leaving her to be with his young, pregnant girlfriend. By a chance phone call, Ria meets Marilyn, a woman from New England unable to come to terms with her only son's death and now separated from her husband. The two women exchange houses for the summer with extraordinary consequences, each learning that the other has a deep secret that can never be revealed. Drawn into lifestyles vastly differing from their own, at first each resents the news of how well the other is getting on. Rita seems to have become quite a hostess, entertaining half the neighborhood, which at first irritates the reserved and withdrawn Marilyn, a woman who has always guarded her privacy. Marilyn seems to have become bosom friends with Ria's children, as well as with Colm, a handsome restaurateur, whom Ria has begun to miss terribly. At the end of the summer, the women at last meet face-to-face. Having learned a great deal, about themselves and about each other, they find that they have become, firmly and forever, good friends. 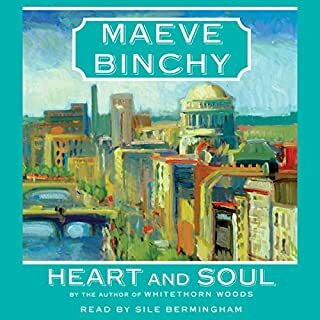 ©1999 Maeve Binchy (P)1999 Random House, Inc., Bantam Doubleday Dell Audio Publishing, A Division of Random House, Inc.
Get through part 1 (it can move slowly and makes you wonder if you've downloaded the right book based upon publishers comments), and get ready to enjoy a much more engaging story once the women exchange homes. The narrator is very good, but the quality of the recording is quite disappointing. I didn't, by the way, pick this up in the sample provided. Volume and sound quality can change drastically from one chapter to another, and at times the sound of other people (readers??) in the background is extremely distracting. This seems to be worse in some chapters than others, and particularly noticeable in part 2. I should note that I finally found an excellent pair of ear buds, which may contribute to my irritation concerning quality issues. I wish Audible would consider establishing an area relating to quality where you could see if there have been comments, both negative and positive about recording studios/production companies before choosing a book to download. Come to think of it, I'm not sure the name of the production company is listed in the catalogue, which leads me to the obvious recommendation that if it isn't included in the book description, it should be. I'm happy I read the book; the story is hard to put down (as in unplug the ear buds) - particularly once you hit part 2. Put it this way: if the material wasn't good enough to hold my attention solidly, I would have abandoned ship somewhere in part 1 due to quality and consistency of the actual recording. I wonder if the author gets to listen to and approve a recording before it is published? Engaging and a real "trip" through Dublin. Maeve is a master storyteller. Well worth your time! The poor quality of the recording of this book was very distracting. 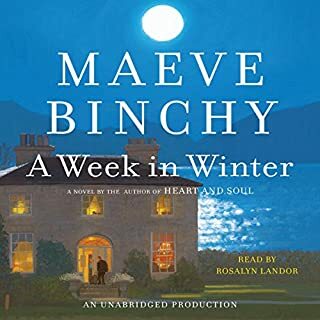 It is to Ms Binchy's credit that I completed the tale given the uneven sound quality and continual background noises as if the reader were in a large room with many other readers doing their thing at the same time. A shame really, as it was a good read. This story has it all/ love, romance, betrayal, death, friendship (loyal and otherwise), children, travel, house and home, organized crime, addiction, men's and women's issues, power, control and abuse. It is all about messy life. I loved it, every bit of it. A truly great listen, so sad when it ended, I was so invested in these people and their lives. ENJOY! I found myself in love with the story but always fussing with my ipod to turn up the volume and down other times on different chapters. I now know what everyone else was speaking of when I read the reviews, you can hear people in the background recording. I am amazed that audible allows this poor quality recording on their website, a big disappointment. I honestly loved the story and wished it could of been heard with better quality. This book was right up there with "The Secret Life of Bees". Extremely enjoyable and I had a hard time turning it off and was anxious to get back to it. The narrator was awesome with her Irish accent and brought Ria and all the characters to life...especially entertaining was Ria's son Bryan......you won't be disappointed! I selected this book because it was on Oprah's list. At first I was surprised that it was an Oprah pick because it seemed to lack the intellect of her other selections. Soon I was soothed by the author's words, lulled by the narrator's voice and rooting for our main characters. Although not brain surgery, I realized that the intellect was buried in the author's ability to tell a story. It was a lovely way to spend my commute. Ms. Binchey is sneaky. She begins telling this story including you in all the little details of Ria Lynch's life. At times you want her to get to the point, but then, when disaster hits Ria's life, you begin to understand why Ms. Binchey wrote the way she did. Your heart ache's for Ria and the hurt she is feeling. I realized I was completely sucked into this story caring about all the characters as if they were real. This book is a treat and I loved every minute of it. My only criticism is the sound quality. Another reviewer said it sounded like others were in the same room as the narrator reading stories as well. I agree. It was distracting at times, but the story is so beautifully written, it is easily forgivable. Many previous posts comment on the poor audio quality of this recording. THe problem has been fixed, and the book is a phenomenal listen. This is the best audiobook I've listened to all year. Though intimidated by its 18 hr length, I raced through it in just 2 weeks. I'll miss these characters like I miss old friends. Highly recommended. 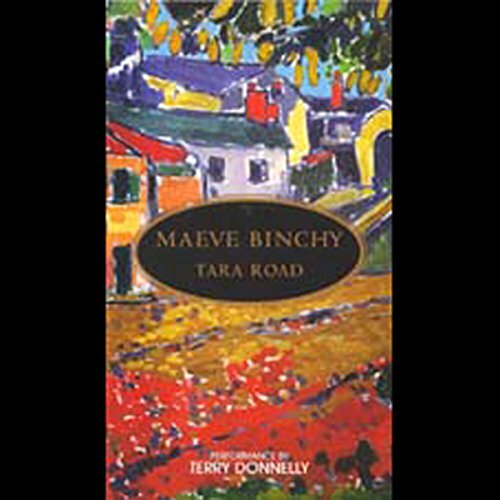 Another of Maeve Binchy's fine works.